Harbour View - On Thursday December 22, 2011, His Excellency Eugene B. Holiday received the new Préfet for St. Martin, Philippe Chopin at his office in Falcon Drive. 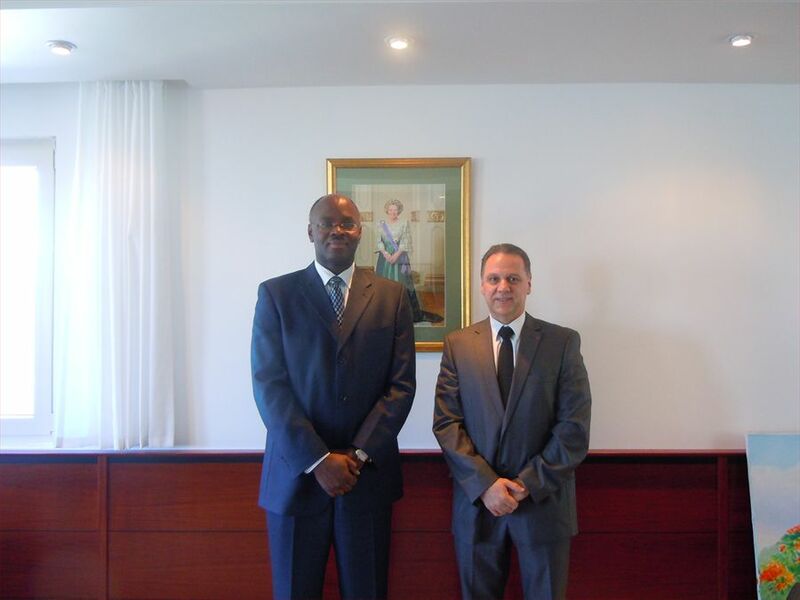 Mr. Chopin paid a visit to Governor Holiday as part of his programme to meet with relevant counterparts in the region and counterparts on Dutch Sint Maarten. One of the main subjects discussed during the meeting was the joint cooperation between the Dutch and the French side, which the Préfet earlier referred to as one of his priorities. During the meeting, also Governor Holiday emphasized the importance of joint cooperation. “This meeting is important in light of the fact that, as I have stated previously, we live in a global community and even more so on a shared island, one island. By transforming our harmonious brotherly existence in real and concrete cooperation, we will be able to realize, secure and sustain our island’s maximum potential. In my meeting with the Préfet, I have reiterated this personal belief and the importance of joint Dutch-French cooperation”, Governor Holiday stated. At the end of the meeting, the Governor expressed his appreciation for the Préfet’s visit and wished him much success in his new post.